My image from the wonderful Stroud Potato Day was shortlisted for the Environmental Photographer of the Year 2016 exhibition, showing at the Royal Geographical Society until 22 August. Sir Ranulph Fiennes was at the opening regaling expedition stories schmoozing. 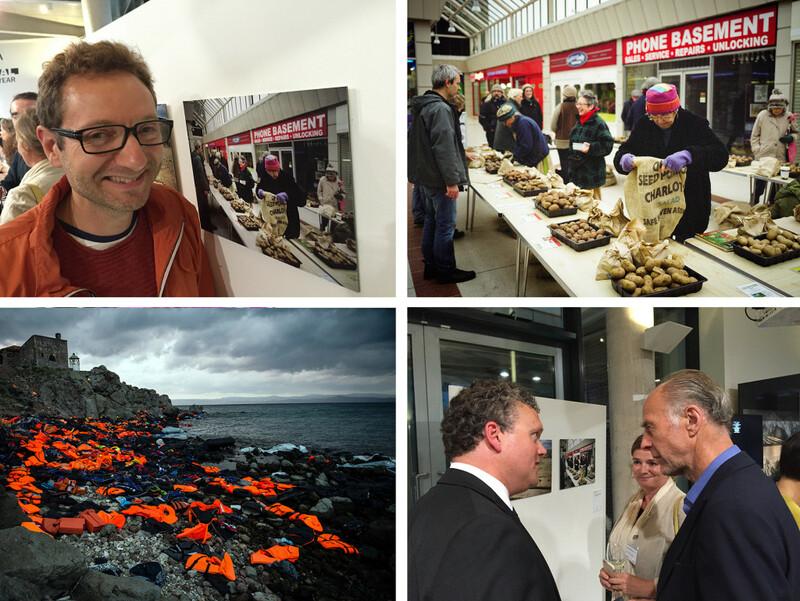 Bottom left is an image by Sandra Hoyn showing life jackets on Lesbos. It’s a worthy winner of the Changing Climate Award and hints at the enormity of the crises and dangers faced by refugees. I have been shortlisted for the Vignette Award 2013 (see part of the selction above). Vignette is a quarterly, free magazine focusing on photographic practice from around the world. In terms of styles, this has to be one of the most diverse shortlist for an award I’ve seen. In the portrait section alone, there are example of street, documentary and contemporary “arty” styles. I’ll let you judge what mine falls into. 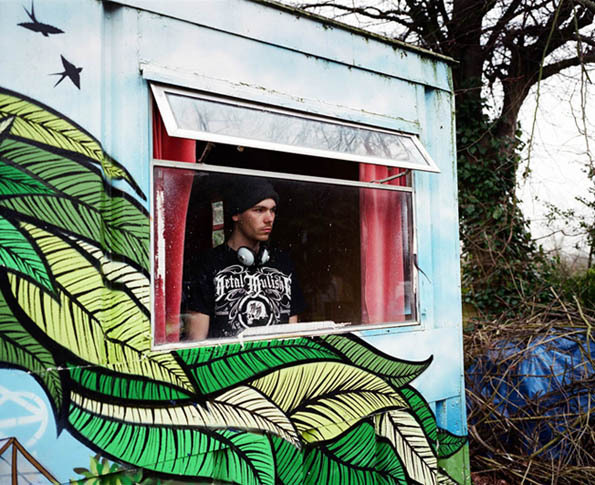 The image that I took which was shortlisted was taken of James at Grow Heathrow, my long term project. I had some feedback at the time suggesting that my pictures depicted an unfeasibly happy community without any suggestions of the daily struggle. When I mentioned this to James, her was all too happy to look meditatively out from his cabin into the barren winter landscape. I didn’t win this award, but I think the judges have chosen a worth fine art picture. Check it out here.